Leizhan supplies the whole writing paper production line includes pulp production system and paper product making system based on wood pulp, white shavings. The finished products can be writing paper, printing paper, copy paper, A4 paper, office paper, etc. First, use Chain conveyor to transport raw material into Pulping machine( Drum pulper, High consistency hydrapulper, D type hydrapulper) for pulping. Second, use High density cleaner for remove heavy impurities in paper pulp. Third, use Pulp screening machine( Mid consistency pressure screen, Vibrating screen, etc,.) 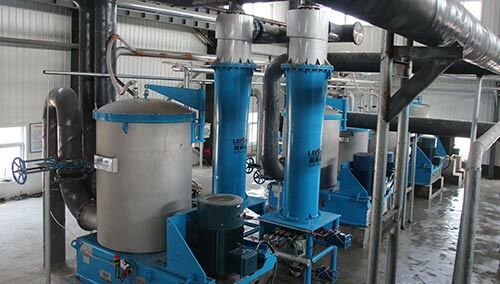 for coarse and fine screening of paper pulp. Then, use Stock washer machine for pulp washing and thickening. After that, pulp will be conveyed into Pressure screen before paper machine for the last stage of pulping. Leizhan QCS control writing paper making machine has the trimmed width range of 1880-3750mm and basis weight range of 40-80g/m2. Leizhan paper machine can produce 20-270 tons of writing and printing paper with the operating speed range of 200-1200m/min.